February 2019 The Montbello High School Cafeteria and Student Commons Remodel is coming along! 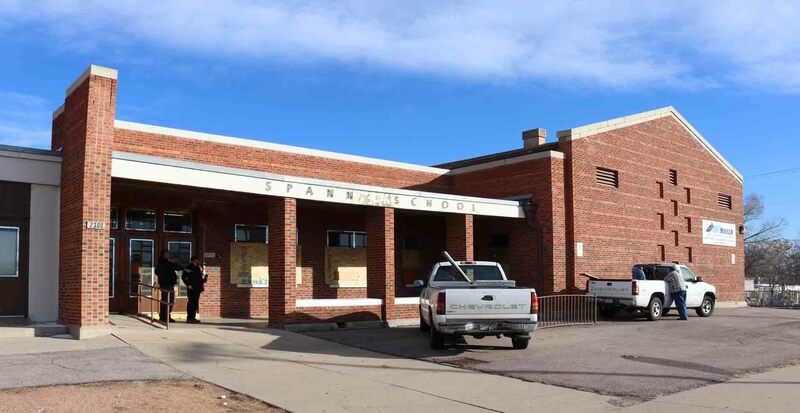 CSHQA and Alan Ford Architects are excited to start a master plan and feasibility study for Rocky Mountain SER to convert Spann and Somerlid Elementary Schools to accommodate ECE in Pueblo, Colorado. 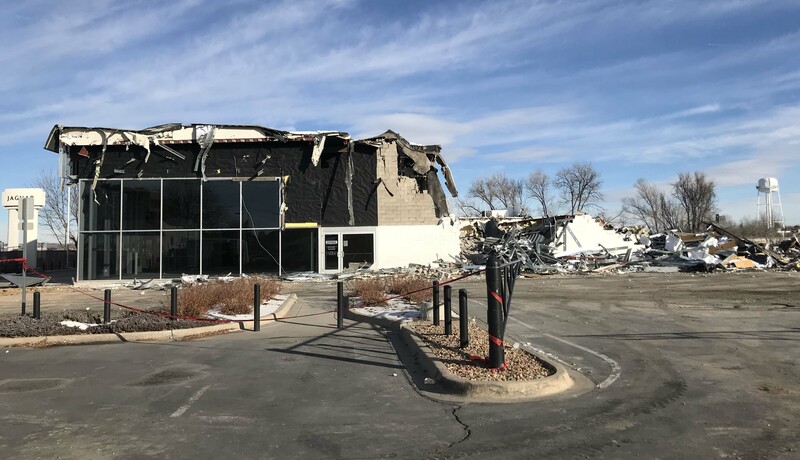 January 2019 Breaking ground on Stevinson Porsche! December 2018 AFA is happy to welcome Mercedes Chaparro to our staff! She started in November, moving from Washington DC to Colorado. September 2018 AFA is happy to welcome Bryan Sapp to our staff! He started this June helping out with a busy summer. We are also excited to announce a new project with Denver Public Schools, working on Montbello High School. Also in the works, multiple automotive projects...stay tuned! 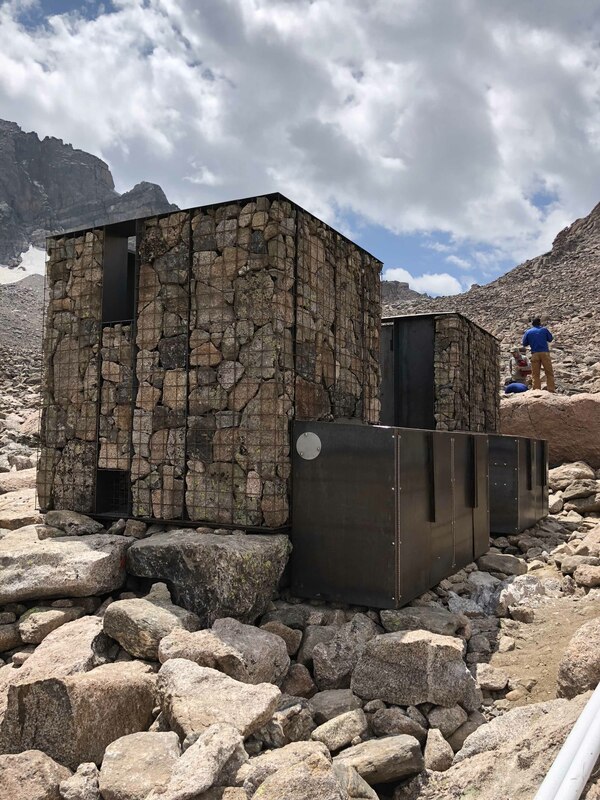 August 2018 If you head up to Long's Peak in Rocky Mountain National Park be sure to check out the student projects by one of our own's design-build class (Colorado Building Workshop)! Intan and her classmates designed and fabricated backcountry privies for the park. May 2018 Congratulations to Hayden School District which was awarded a BEST Grant which follows the passing of their local bond measure in the fall of 2017. The district is now poised to move forward with the $61,000,000 project! Alan Ford Architects headed up the Hayden School District master plan which began May 2016 and concluded with the BEST grant application in March of 2018. Also in May... Alan Ford Architects began work on a preliminary master plan for Trinity Catholic PK-8 school in Tallahassee, Florida to help in shaping a vision for the campus. April 2018 AFA helped to host the Early Childhood Education Design Conference, April 26 - 27th, in Denver, Colorado. Check out the website for more information. Early Childhood Design Conference March 2018 AFA is excited to welcome Heather Morrow to the team! Alan Ford Architects is currently helping to plan the Early Childhood Education Design Conference, taking place April 27th. Check out the website for more info: Early Childhood Design Conference September 2017 Alan Ford Architects is excited to welcome Tyler Michieli to the team! 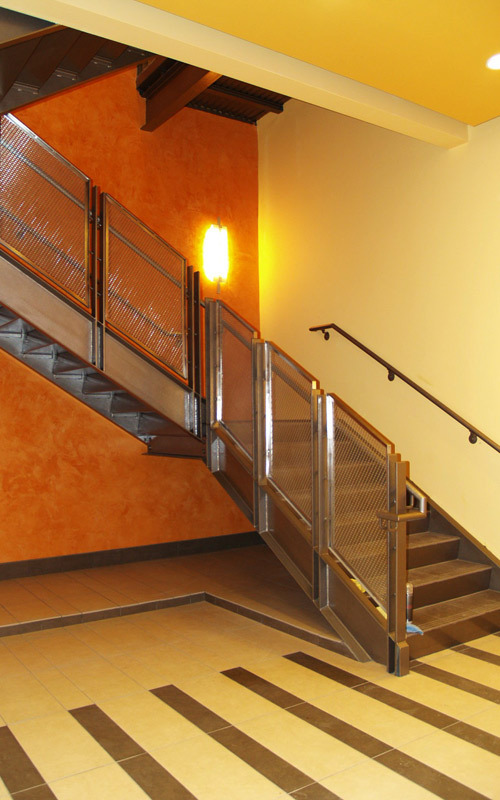 Tyler is a Colorado licensed architect with experience in higher education, PK-12 and residential design. August 2017 Alan Ford Architects is awarded an AIA 2017 Design Award for Blue Spruce Habitat for Humanity Duplex, located in Kittredge, Colorado! The Blue Spruce Duplex is the winner of multiple design awards including 1 of 6 to receive Best in State. Check out these links for information about our awards and the other winners. AIA Colorado Design Awards 2017 Mile High Acre News Alan Ford Architects along with the architectural firm CSHQA is awarded the master planning project for Sierra Grande School District. JUNE 2017 Alan Ford Architects celebrates its 10 year anniversary on June 1st! Informal gathering at Blue Moon Brewery. MAY 2017 Student Intan Yokelson joins Alan Ford Architects from CU Denver College of Architecture and Planning! FEBRUARY 2017 We are excited to welcome Whitney Grant and Jesse Sherr to Alan Ford Architects! Jesse comes to us from Berkeley College of Environmental Design and Whitney is a graduate of Mississippi State University College of Art and Design. JANUARY 2017 Construction documents for the historic Staunton State Park cabins are completed. NOVEMBER 2016 Studiotrope in association with Alan Ford Architects was selected for two projects with school district 27J, Overland Trail Middle School and Northeast Elementary School. OPENair Academy at the Stanley Marketplace is opened for students. SEPTEMBER 2016 Alan Ford Architects was awarded the campus master plan for the Denver Waldorf School. JUNE 2016 Construction has begun on the Stanley OPENair Academy ECE and is expected to be completed in November of this year. MAY 2016 Alan Ford Architects, P.C. has been awarded the Hayden School District Facility Master Planning project. This project will assess the current educational facilities in Hayden, Colorado and help the school district accommodate their future needs. APRIL 2016 Alan Ford Architects along with ECE design partners, and A4LE hosted the fourth annual international Early Childhood Design Conference with over 250 attendees from across the USA and Canada. FEBRUARY 2016 We are pleased to welcome Amanda Spice and Dennis Brunner to Alan Ford Architects! 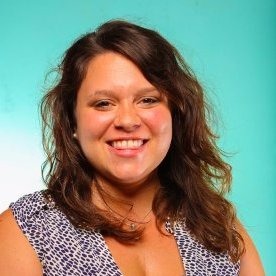 Amanda recently moved to Denver from Richmond, Virginia where she worked for Gresham, Smith & Partners. Dennis is a graduate student at CU Denver who will be completing his Master of Architecture degree in December. JANUARY 2016 Colorado State Parks has selected Alan Ford Architects to create the historic structures rehabilitation plan for 7 structures in the Staunton State Park Historic Landscape District. JANUARY 2016 Alan Ford Architects is currently collaborating with our ECE Design Partners in planning the 2016 Early Childhood Education Design Conference at Auraria Campus. DECEMBER 2015 The recently completed Kim School held their grand opening celebration this month and will begin hosting classes in January. 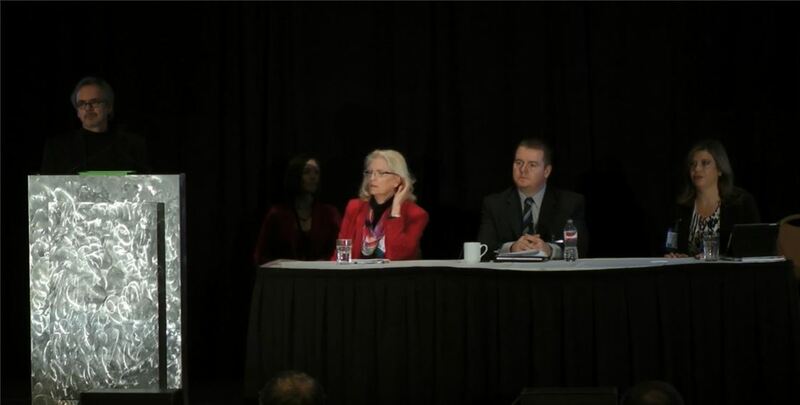 NOVEMBER 2015 Alan Ford speaks at the 2015 Green Schools Summit in Arvada. 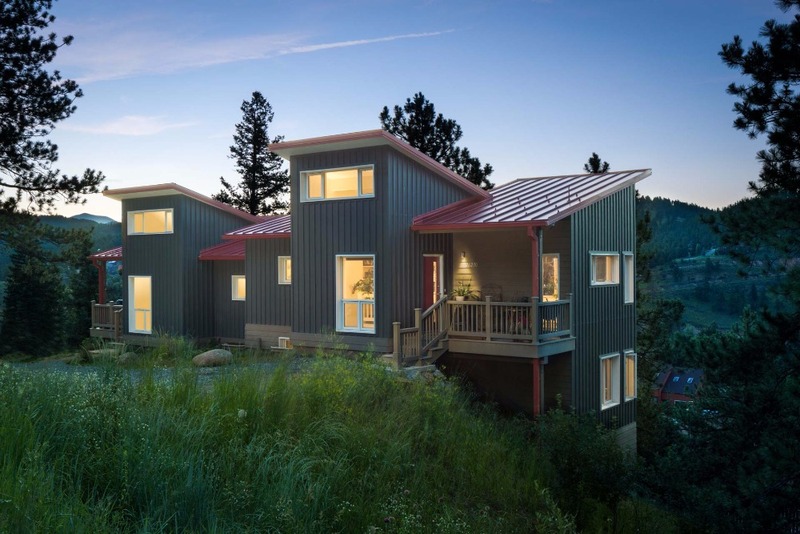 FALL 2014 Alan Ford Architect received from AIA Colorado a 2014 Architects Choice Award for our Habitat for Humanity Blue Spruce Duplex! 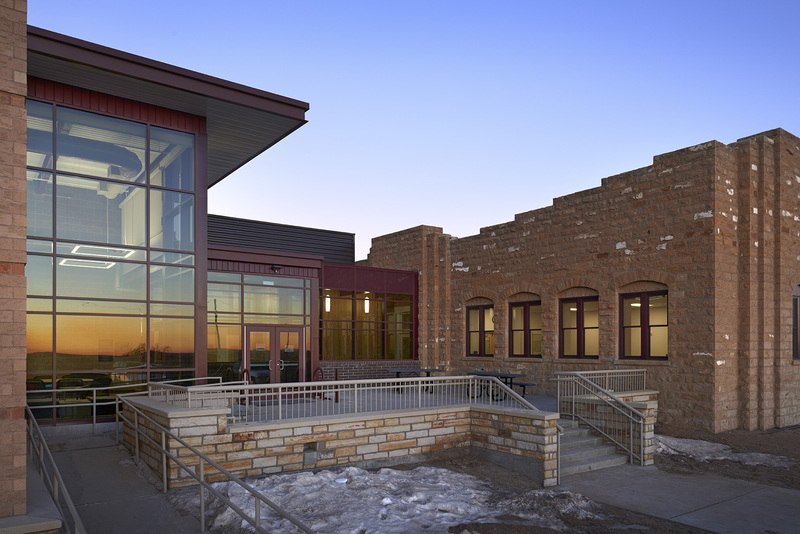 FEBRUARY 2014 Kim Public Schools selected Alan Ford Architects + RTA Architects for a renovation and addition to their historic WPA school building. 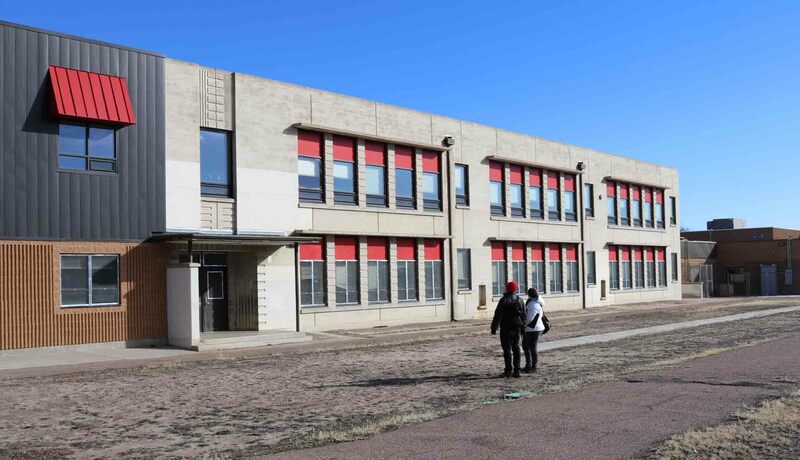 SEPTEMBER 2015 Alan Ford travels to Germany to tour the VS factory. VS designs and builds furniture essential for 21st Century Schools. FEBRUARY 2014 Congratulations to Alan Ford, who has been elevated to a fellow of the AIA! 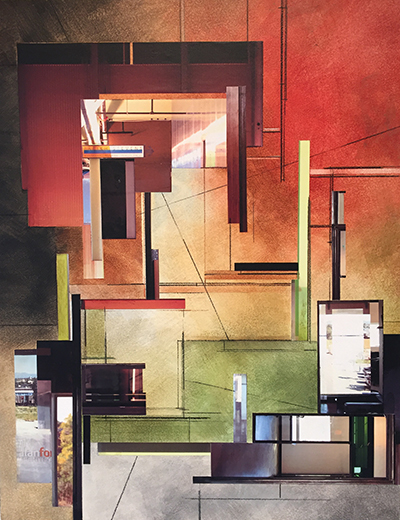 Election to fellowship not only recognizes the achievements of architects as individuals, but also their significant contribution to architecture and society on a national level. OCTOBER 2013 Alan Ford sworn in as President of the Rocky Mountain Chapter of the Council of Educational Facility Planners, International (CEFPI) JUNE 2013 The BVSD Historic Mapleton Early Childhood Center, located in Boulder, CO, has completed construction and will host a grand opening in mid-August. The school will officially open in late August. MAY 2013 In March, Alan Ford Architects completed a master plan for Kim School District. 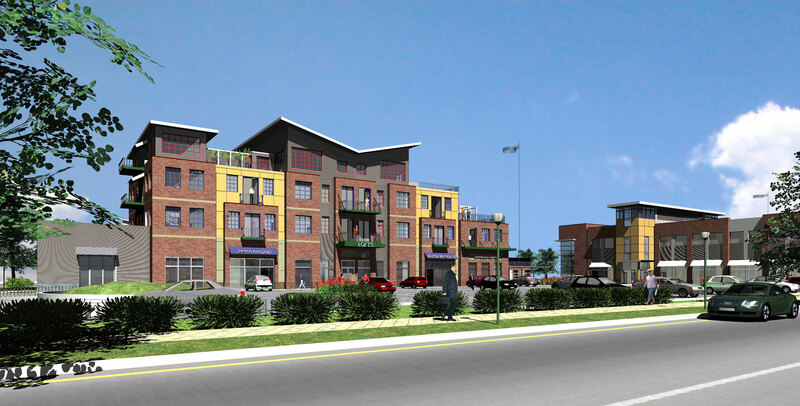 On May 29, the Capital Construction Assistance Board approved a BEST Grant for the project. It will go before voters for approval in November of 2013. MAY 2013 Alan Ford and Paul Hutton participated in the master plan for Staunton State Park. The first phase of the park opened to the public on May 18, 2013. MAY 2013 The master plan for World Impact Academy was completed in May and is now in the fundraising phase. It includes facilities for early childhood education through 5th grade and a sanctuary. MARCH 2013 A Hard Hat Tour for AFA's Habitat Duplex is scheduled for Thursday, May 16th. Contact AIA Colorado for details. FEBRUARY 2013 Alan Ford served as the United States representative on an international jury for World Architecture News Sustainability Awards-ECOWAN. Click here for a link to the article Planning is underway for the second annual Early Childhood Design Conference in Denver this October 25th. JANUARY 2013 Alan Ford Architects began programming for a new Sanctuary and ECE-5 School for Impacto de Fe to be located in Commerce City, CO. NOVEMBER 2012 Alan Ford Architects has been collaborating with Fentress Architects on the design of a new facility for the Laradon School in Denver. OCTOBER 2012 The Inaugural Early Childhood Design Conference took place on the Auraria campus in Denver, CO with attendees from around the united states and Canada. SEPTEMBER 2012 Alan Ford voted President-Elect of The Rocky Mountain Chapter of CEFPI, the Council of Educational Facility Planners International. He will be assuming his new responsibilities as President in Late 2013. 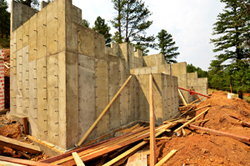 Foundation complete on Blue Spruce Habitat Duplex! AUGUST 2012 Alan Ford, AIA and ECE Design Partners are planning a fall conference focused on best practices for designing early childhood education facilities. For the latest on our conference, Click here to visit our website. JULY 2012 Construction has begun on Alan Ford Architects winning design for the AIA Denver/Habitat for Humanity Design Build Competition We are extremely happy and proud to be a part of this local effort by the design and construction communities to increase the energy performance and enhance the livability of of our local Habitat for Humanity Chapters. This project was recently named the 2013 AIA Convention Legacy Project. OCTOBER 2010 Alan Ford, AIA, received a 2010 AIA Colorado Innovative Practices Honor Award. See the Winner ALSO THIS MONTH: Alan Ford Architects promoted Michael Halliburton from Marketing Assistant to Assistant Director of Marketing and Business Development. 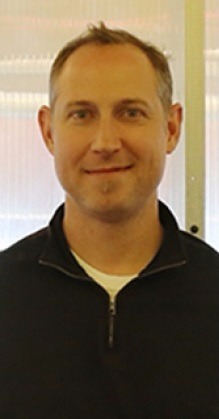 Michael has been with the firm since January 2008. MARCH 2009 The Spruce Street Place mixed-use office/retail development at Lowry is scheduled to open its doors in April 2009! See how the project is coming along in its final phase. ALSO THIS MONTH: Alan Ford's latest book, Designing the Sustainable School, recently resumed the number one spot in World Architecture News' Top Ten Books! JANUARY 2009 A case study on the LEED NC Gold Aspen Middle School, designed by Studio B Architects and Hutton Ford Architects, was featured in Architectural Record's "Schools of the 21st Century" edition. Additionally, Alexander Dawson Lower School, completed in 1998 while Alan was design principal with Hutton Ford Architects, was featured in John Paul Eberhard's new book, Brain Landscape: The Coexistence of Neuroscience and Architecture. The book cites the school as a prime example of daylight harvesting in classrooms and its ability to enhance the learning process through the way a child's brain responds to natural light. 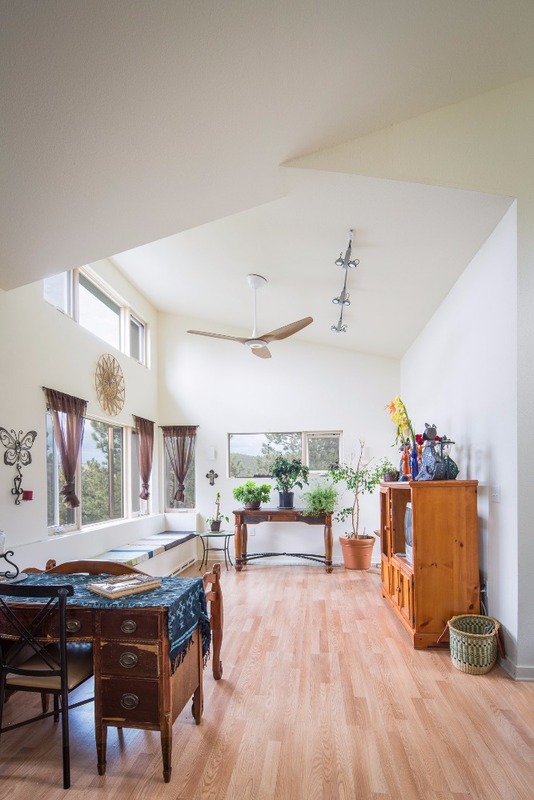 The author refers to a 2001 behavioral study conducted in California schools ("Daylighting and Human Performance," by Lisa Heschong) that found a direct correlation between increased natural daylight and heightened awareness as well as higher test scores for students. DECEMBER 2008 The Longmont High School Commons Area Renovation project, completed in 2004 with Hutton Ford Architects, received an award from the CEFPI Rocky Mountain Chapter. OCTOBER 2008 Alan Ford has been featured in the Summer 2008 issue of Architect Colorado magazine, in the article: "The Green Scene." SEPTEMBER 2008 The Robert E. Loup Jewish Community Center of Denver has commissioned Alan Ford to head up a five-month master plan that will be an overhaul of the existing campus. The facility master plan will serve as a long range development plan for the JCC site. The comprehensive planning team is being led by Hutton Ford Architects LLC, a joint venture between Alan Ford Architects and Hutton Architecture Studio. Barker Rinker Seacat Architecture is also partnering on the job. Additionally, the team includes urban and land planning firm studioINSITE, structural engineers KL%26A and civil engineers Martin/Martin. AUGUST 2008 The Spruce Street Place mixed-use office/retail development at Lowry is beginning to take form. Click here to enlarge image. JULY 2008 Alan Ford Architects was featured in the July 4 edition of the Denver Business Journal in the article, "Taxi: Steering business owners together." 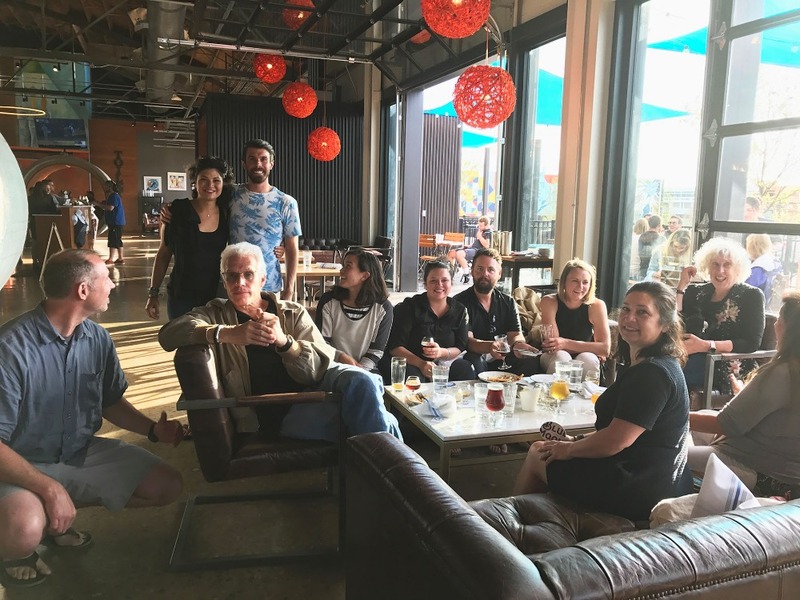 The article highlights the professional collaboration occurring among the creative community of tenants at the cutting-edge Zeppelin development, TAXI2. 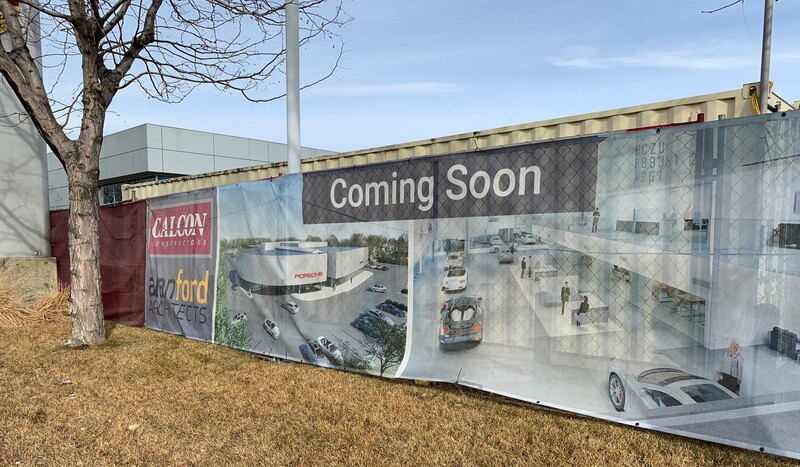 The article cites Alan Ford Architects as a prime example of a Taxi-based firm that utilizes its neighboring businesses as a resource for partnerships. So far, Alan Ford Architects has paired up with nine different Taxi firms in various endeavors since establishing its office in June 2007. ALSO THIS MONTH: Alan did a book signing event Wednesday, July 9, at the Florida Educational Facilities Planners' Association (FEFPA) Summer Conference 2008 in Boca Raton, Florida. An estimated 800 people from throughout the state of Florida registered for the conference. The book signing event was described as a huge success. Alan would like to thank all those who attended the Balfour Beatty Construction booth. Alan Ford Architects also sends a special thanks to Balfour Beatty Construction, which sponsored and hosted the book signing event and gave away 70 signed copies of Designing the Sustainable School. Thank you, Balfour Beatty, for your continued support of sustainable architecture. JUNE 2008 Construction is proceeding on the Spruce Street Place project with a scheduled fall opening. 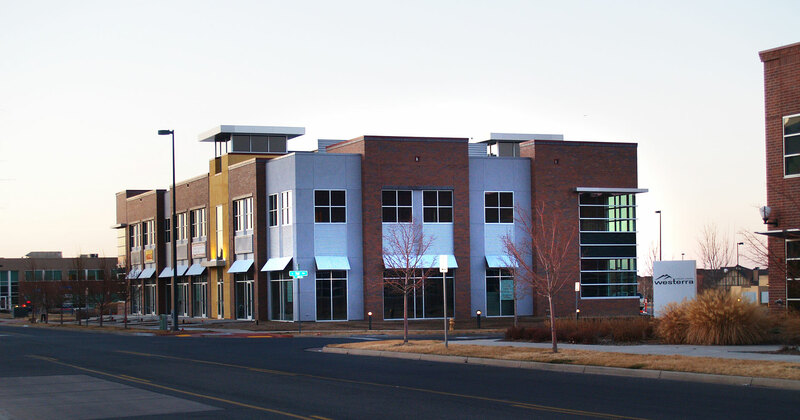 Spruce Street Place is an urban mixed-use development located at the site of the former Lowry Air Force Base. MAY 2008 On Tuesday, May 27, Alan Ford and Heather Jones (Clifton Jones) presented the Mapleton Early Childhood Center Feasibility Study to the Boulder Valley School Board. The report was a collaboration among Alan Ford Architects, Clifton Jones and White Construction Group. 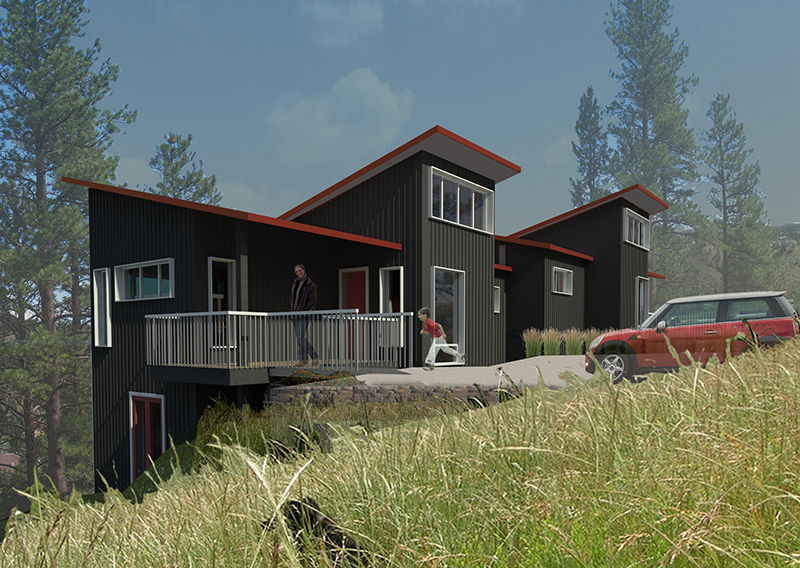 The comprehensive team provided architectural development analysis, cost analysis and programatic development for the site of Boulder's former Mapleton Elementary School, which is being considered for conversion to an early childhood care and education center. MARCH 2008 Join Alan Ford on Friday, May 16 from 1-2pm in the AIA bookstore at the AIA 2008 National Convention and Design Exposition in Boston, where he will be signing copies of his latest book, Designing the Sustainable School. The convention dates are May 15-17 and will take place at the Boston Convention and Exhibition Center. Consult the AIA convention website for more information. FEBRUARY 2008 Alan Ford Architects renews its contract with Colorado Public Radio as an underwriter for 2008. Alan Ford Architects supports CPR in its mission to create and distribute public radio programming for the people of Colorado, to be an educational and cultural resource for its audiences, and to reflect the ideas and concerns of its listeners throughout the state. JANUARY 2008 Colorado architect Alan Ford, AIA, has been appointed the national content editor for the Design section of the new AIA Soloso website. 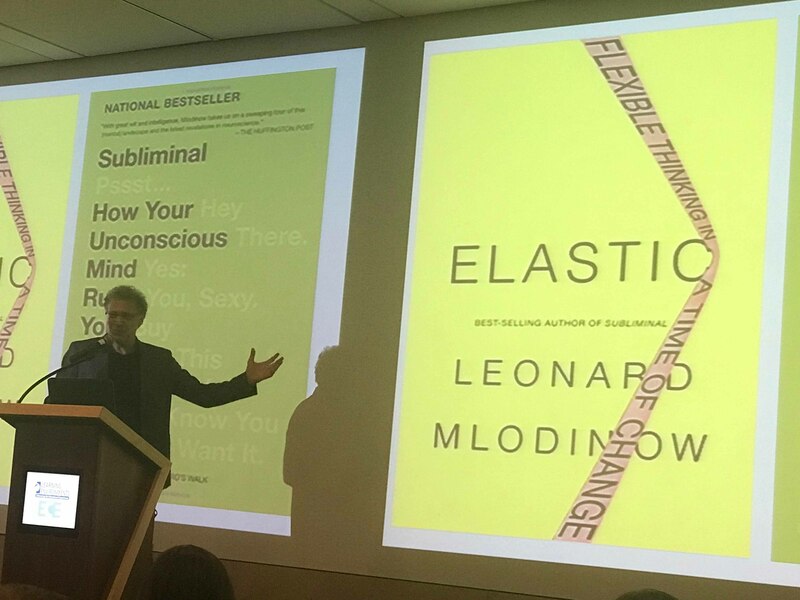 Soloso is intended to connect the membership to the most current and emerging information on architecture that can serve their practice. There are four subject headings in Soloso: Leadership, Practice, Building Performance and Design. The vehicles for conveying content include e-journals, image banks, posting of research (by both editors and members), third-party site links, access to award-winning projects, etc. Alan's editorial position within the Design heading, among other things, entails writing "white papers," featuring websites, writing reviews of articles on architecture, reviewing design content submitted for posting on Soloso, etc. Alan is interested in hearing from AIA members on what they are most interested in having available on the website: What are the topics or tools related to design that would be useful to have at their fingertips? Please contact him with ideas via email. ALSO THIS MONTH: Alan was awarded the Mapleton Early Childhood Center Feasibility project this month. 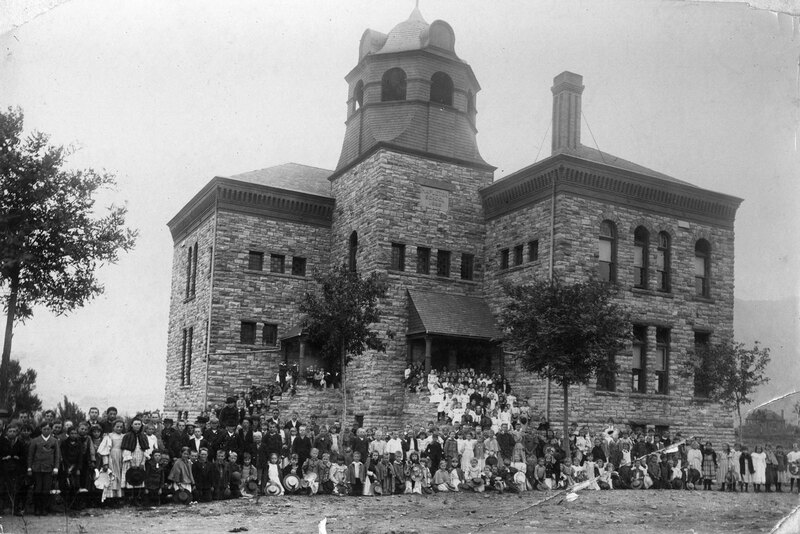 The study's purpose is to examine whether the building of Boulder's former Mapleton Elementary School is fit for conversion to an early childhood care and education center. The final report will be presented to the Boulder Valley School Board in May. DECEMBER 2007 Read Alan Ford's article on architecture and the K-12 learning experience at World Architecture News. AUGUST 2007 Alan Ford Architects moves their operation to the creative community known as TAXI2. The naturally daylit open office is designed with recycled paper countertops and shelving, bamboo divider panels and casework, polished concrete floors and electric lighting which exceeds the energy conservation code. JULY 2007 Designing the Sustainable School is released and becomes the number one bestseller on World Architecture News' London-based website. JUNE 2007 Hutton Ford Architects P.C. was founded in 1993 by Paul Hutton and Alan Ford. After 14 years as a principal at Hutton Ford Architects P.C., Alan Ford, AIA has established the new firm, Alan Ford Architects P.C. The design practice is grounded in finding architectural solutions within the context of the existing environment, culture and climate, with a focus on high quality design, detailing and sustainability. 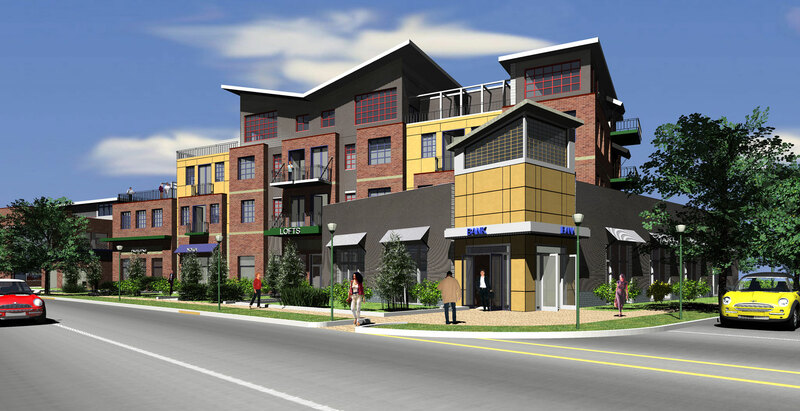 Alan Ford Architects will be located in the cutting-edge TAXI2 development in Denver. As of June 1, 2007, Hutton Ford Architects P.C. became Hutton Architecture Studio. Under the leadership of Paul Hutton, AIA, the firm continues its long-standing commitment to designing environments for learning and promoting sustainability in architecture. 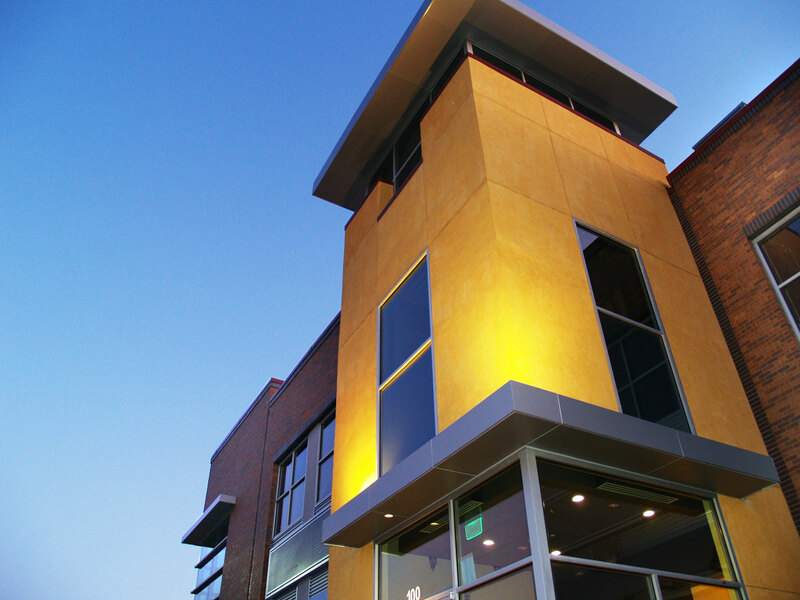 In late summer 2007, the firm will move to a dynamic and sustainable new space in the thriving Broadway corridor in Denver. Meanwhile, Hutton Ford Architects, LLC continues to serve as an entity for Paul and Alan to jointly pursue select opportunities, including the Staunton Park Master Plan for Colorado State Parks (led by LandWorks Design, Inc.). Both Ford and Hutton are committed to applying their unique talents and synergetic skills, which they have honed during more than 15 years of collaboration, to the joint venture, Hutton Ford Architects, LLC. We look forward to working with you in the future. If you have any questions regarding this new development, please call Alan Ford or Paul Hutton. Sincerely, Alan B. Ford	Paul C. Hutton Alan Ford Architects	Hutton Architecture Studio 303 383 1111	303 861 1600 MAY 2007 Led by LandWorks Design, Inc., Hutton Ford Architects is on the team that will master plan the new sustainable Colorado state park, Staunton Park.